Get 50% off a black cab to Heathrow! The Hailo taxi network has recently been rebranded as mytaxi following its acquisition by Daimler. In theory mytaxi will be relaunching as an Avios partner soon although I haven’t seen any movement yet. If you previously earned Avios via Hailo then you should still be getting points via mytaxi but new customers are not being allowed to collect. Whilst you’re waiting for that to happen, try this. As there is a fixed fee option of £50 from Zone 1 to Heathrow, this means that – after applying the 50% discount – you can get to Heathrow for just £25. There is no limit to how many discounted rides you can take. Full details are on their site here. There is also a separate mytaxi promotion offering 50% off rides after 5pm on Fridays and at weekends, until 3rd September – see here. Thanks to Mark for this. Discount hotel room site LateRooms.com is 18 today, amazingly. To celebrate, they will be offering 18% off a wide range of hotels for today only. I haven’t seen a list of the properties included, but if you need to book something at the moment it is worth a quick look. The 18th birthday event is here. 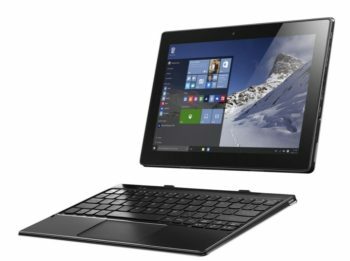 Tesco Direct was offering 3,000 bonus Clubcard points (worth 7,200 Avios or 7,500 Virgin miles) with a £199 Lenovo tablet last week. Unfortunately they had messed up their website and you couldn’t complete check out unless you ordered two tablets! This has now been fixed but the offer closes today, Monday 14th. If you’re interested, take a look at this Shopper Points article. Could anyone advise how this will work when arriving into Terminal 5 at LHR. How does the process work. I book the cab then where do I meet the driver? Does he call me? Has anyone tried going for the 6 seater option? Thanks for any help, just a bit nervous whether it will be a nightmare process after arriving from long flight.